It is best conceptualized as a multidimensional characteristic, as psychologists agree that there are many positive and negative aspects In its maladaptive form, perfectionism drives people to attempt to achieve an unattainable ideal, and their adaptive perfectionism can sometimes motivate them to reach their goals. Self-oriented perfectionists, who expect perfection of themselves. Other-oriented perfectionists, who demand perfection from other people. Socially prescribed perfectionists, who think others expect perfection from them. Have you even met a person like that? Perfectionists have a hard time forgiving mistakes. They are as harsh with themselves as they are with others. They usually judge people negatively and the expectations of themselves are unrealistically high. If you have doubts as to whether you are a perfectionist or not, the chances are that you might be. These are some of the most common telltale signs of perfectionism. 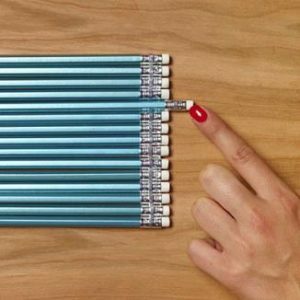 Inflexible Thinking: Perfectionists are somehow like high achievers; they work very hard towards fulfilling their goals. The difference is, that while high achievers will do their best and will be satisfied with a very good result, perfectionists will accept nothing less than perfect. Anything other than that is seen as failure and that can lead to catastrophic consequences. Disappointment over unfulfilled goals. High achievers are more relaxed, happy and easygoing. Perfectionists, on the other hand, aren’t. They apply some kind of pressure on themselves to perfect the current goal and beat themselves up when they don’t. This unrealistic view of the world and of themselves often leads to feelings of loneliness and depression. Low self-esteem. Perfectionists are mostly unhappy and self-critical. That often results in them suffering from low self-esteem, feelings of low self-worth and isolation. What is even worse is that their critical nature usually pushes others away, making them even lonelier. You can’t stop thinking about a mistake you made. You are intensely competitive and can’t stand doing worse than others. You either want to do something “just right” or not at all. You won’t ask for help if asking can be perceived as a flaw or weakness. You will persist at a task long after other people have quit. You are a fault-finder who must correct other people when they are wrong. You are highly aware of other people’s demands and expectations. But what does practically happen inside a perfectionist’s mind? Well, let’s say for example that you are trying to lose weight. To start with, you are more likely to set goals that are too high or unrealistic. By setting such impossibly high weight and fitness goals you are creating a recipe for imminent disaster. You are probably filled with irrational and harsh beliefs about the way you eat and your body image situation. You might see everything as simply black and white, right or wrong, without allowing some space for much needed gray areas, too. Non perfectionists are driven by success and mostly focus on ambitions and achievements like eating healthily and following a balance nutritional routine. If you find most of these traits very familiar to the way you think, worry not. Realising and accepting the need for change is always the first step to finding inner peace and achieving real success. 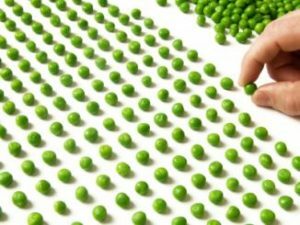 Overcoming perfectionism is not an easy job; it requires you to accept that ‘perfect’ is not ideal or always postitive and healthy. A job well done is always better than a job not done at all or one that has caused a lot of anxiety and irritation. ‘The thrill of reaching an attainable goal sure beats the frustration of never getting to an impossible one.